1 - Doncaster 3:40, 5f Conditions (4), "The Brocklesby"
The 2009 edition of the Kempton maiden produced a later Listed winner in victor Star Rover along plus triple winner Desert Auction (3rd as the Hannon String), Group placed Bould Mover (4th) and Listed placed Red Avalanche (9th). The second that day failed to win even when dropped to sellers and the 5th to 7th were moderate or worse to show how the abilities got mixed up. The 5f course at Kempton goes around a tight bend and puts an extra burden on inexperienced horses and means a well prepared underpowered one can get amongst the classier types. A better type from an 'easy intro' trainer like Hannon & Channon is going to need to be a natural racehorse to win if there is a professional runner from a 'Ready FTO' trainer. If there is not one of those in the field then the better ones will have more time to get to the front on ability. Star Rover won well by four lengths but did a time that was easily bettered in later season by moderate Nursery winners in the OR50s to 60s range. That gives an idea of how weak the early races can be. These horses need to be able to improve through the season physically just to stay in the same rating range despite what the Official Ratings will say. The Profile for this season's version looks thinner than last year with a lengthy tail of poor prospects. The only obvious ready FTO type that might win on preparation rather than ability is David Evans' Johnny Hancocks. The preview for the Brocklesby below has a quick summary of the Evans approach but this one should be competent and capable of leading. The question then comes whether it will be good enough. He was a cheap buy and is by new sire Kodiac who has a speedy pedigree. The dam has produced a couple of 5f juvenile winners including one for Evans. Booking Jimmy Fortune might suggest he is ok but might just be the ride the jockey could get. Unlikely to be a 'Star Rover' but a competent 'Transfixed' type debut would put a lot of pressure on the others. Richard Hannon has appeared to step up his performance more, after a long training career, in 2008-9 with more runners and more of quality. He has managed an improved Strike Rate over his usual in both seasons. Looking at sales prices of his 2yos in those seasons confirms that the spending power has increased and the overall quality with it. He should have at least as good a season this year. A key to this race is what to make of Takeaway. At £5,000 he does not represent the obvious better type and the trainer had two entered for the race with Penny's Pearl missing. Now, Mr Hannon is going to have 130+ debut runners in the season so a bit of scene setting is called for. He does not target FTO wins and they come along with the high class horses. A debut winner would normally indicate a horse capable of rating 90+ and competing at Listed level or better. The FTO winners come along at particular times and courses because he selects horses for certain assignments. You would expect 1 or 2 debuts wins in very early season. The next will come along in mid May, probably at Newbury, then probably one at Goodwood late in the same Month. Debut wins after that will come along with odd better types. Occasionally he will have a highly tunes debut winner but these seem to be for one particular owner, i.e. The Queen. His debut winners for that owner will develop less than usual. Because he has so many runners the odd one will fall into a soft race and manage to succeed FTO by accident. 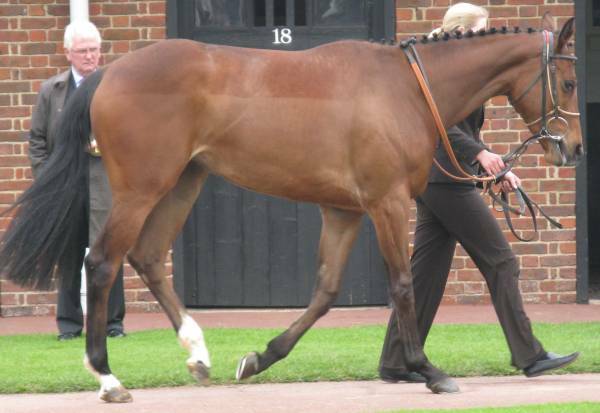 His first debut winner in 2009 was Monsieur Chevalier on April the 9th and the next was Canford Cliffs in mid-May. The message is clear. Unless you have reason to believe a Hannon debut runner is high class nothing will go wrong in the long run ignoring them. In this race last year a three time winner for the trainer like Desert Auction (rated OR88 at peak) couldn't deal with knowing Star Rover nor even with souped up seller failure and mental mouse Out The Ring who had been tuned by Kevin Ryan to win with owner John Fretwell there in his helicopter to watch. Hard to believe on pedigree that Takeaway is 'Monsieur Chevalier' or even 'Desert Auction'. So, perhaps look elsewhere. Mick Channon worked for Hannon before getting his own licence and has a very similar FTO approach and covered below. His best runner wouldn't deal with a competent ok Evans runner but would finish placed and win STO. Beach Patrol looks the better prospect for the day and runs for owners Box 41 so you suspect he is the expendable OR72 type who is going to run 15 times this season. He might be the Channon early AW debut winner (outlined below) if this is a race free from ready today horses. Kevin Ryan is another who doesn't get many early debut winners but did have the second here last year and seems to have a batch of early, cheap ones, to soup up to see what they can blag early. Unknown Rebel has an ok pedigree for this but may well only be a late OR60s type over time. Clive Brittain runs Jibouti and his approach is covered below. This one would nee to be high class to win. After that you are into the weak profiles and one of those would have to be unusually good to compete. If you had to choose one as a possible surprise then Phil McEntee at least has record of whizzing his 2yos up for early season and strong debuts. Which means the best of his pair, presumably Huckle Duckle, could be up there competing for the lead and hanging on for a long time with the way the Kempton bend assists prominent runners (front runners win close to 50% of all races at 5f there to emphasise the point). In summary, a thin looking bunch lacking the obvious longer term types that the Brocklesby has. Bound to be some surprises who prove better that profile. Johnny Hancocks comes out top on profile and well clear of the others because of the lack of perceivable quality in the profiles of those for relaxed debut handlers. Takeaway does not appeal as the Listed+ Hannon early winner and the Market will be of mixed value of spotting whether the stable think he is useful. Unknown Rebel appeals more than Jibouti and Beach Patrol should place. A quick jog through the Brocklesby runners without belabouring too many points and trying to save some stamina for a long season. The table below shows the B2yoR profile ratings for the 16 declared runners. They are the figures in the square brackets and are working to the same levels as 2009. The ratings approach has developed over recent years and were always lower than the OR figures that the BHA, and other well-known providers, produce. Last year's early season ratings were too high and this is a very hard bias to overcome and will be the main issue to resolve in 2010. Many will recognise that this area is largely wrestling with how to deal with the Internal Weight-For-Age (WFA) for 2yos. The BHA method is to ignore it and solve the problems it causes by over-rating a lot of 2yos and then downgrading them as the Nursery runs demonstrate the inflated marks. The figure in round brackets are a ballpark figure for the end of year OR that each horse might be capable of based on it's general background. Pedigree, sales prices, and so on. A couple of points to note are that the horses with the highest Profile Rating for Saturday may not be the best horses in the fullness of time. This is the typical question for First Time Out (FTO) runners to balance out how much basic ability the horse has and how prepared the trainer will have it. Regular readers will not be surprised to see the David Evans & Bill Turner 2yos at the top as likely to be the best prepared. A central question for Saturday is whether any of the, strong looking, midfield of Profile from solid stables might be the better class horses who could win on pure ability if less ready. Last year's result discussed below was unbalanced with three 90+ raters finishing clear of a bunch of sub-OR74 types. This race looks to have more 75-85 types to fill the gap and provide more Open Maiden winner prospects. The (OR?) figures in the table are not going to get into the 90+ range because the small elite of 2yos should 'emerge' by assessing the Paddock info or the result & Video. So, there you are if you are the Paddock Reviewer. You have the figures and need to assess the horses against the proposed ORs. Make sure you get a handle on fitness and general readiness and, for Heaven's sake, ring early if one of the lower profile horses looks like Godzilla. Oh, and no chatting up the tipsy females and use your sidestep on any grizzly blokes who start a conversation with "You look as if you know what you are doing....". You have limited time to get a handle properly on the sixteen. Or else. Oh, and another thing. Remember you are going to under-rate a couple of the smaller, racy ones. Star Rover & Fratellino had better descend into OR80s raters this season. To the horses. David Evans was finally 'discovered' in 2010 by a wider audience but has been important in 2yo terms for a long time. You do wonder whether the long prices for his FTO winners are gone though. Mr Evans gets his competitive juveniles ready for the start of the season and they will be fit and often knowing enough on debut. He gets his FTO winners early. The Best Mode is by the sire Camacho and owned by C. Leo so is a close analogue for Star Rover who won the Kempton race on the first day of the year in 2009. Bill Turner is never going to make the career progress Evans has made because he shows every sign of 'knowing his place'. He uses the same approach of getting his 2yos ready for Day One of the season and trying to win before the 'better horses get going'. Classic 'Underdog Bunker' stuff. He gets his FTO winners in the first 2 weeks of the season or not at all. His last debut win was in the Brocklesby in 2008 with a filly that never won again and was probably helped by a strong stands' rail bias. Lady Brookie is out of a mare who won in early season and her first foal was withdrawn in this day's Kempton race last year. He typically sends his first or second best 2yo to the Brocklesby. 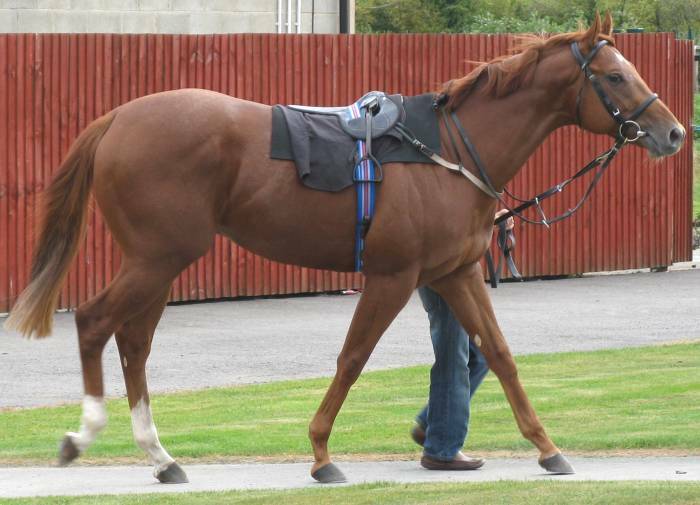 This filly is by cult sire Makbul so has lots of positives to be competitive to win in March. Both of those runners may well be shorter in the Market because of the trainer's reputations. Third up in the Profile is a much more interesting proposition in Sky Diamond. To a good approximation trainer James Given only runs two types of 2yos. The first is the 5-6f 2yo types who have a chance of winning. These are typically ready to run to a high standard FTO. The others are 3yo handicap set-ups and garbage and on results as juveniles will be difficult to differentiate. Try looking at this FTO RAG of his runners in 2009 - Link. The FTO RAGs (Red-Amber-Green) on the site show the trainer's debuts listed in Date, B2yoR [Est] & SP. The Green coloured FTOs show horses that won during the year with darker green meaning won FTO. Yellow, call it Amber to help, are horses that managed to place and Red are horses that ran more than once but didn't manage to place. No colour means only ran once. Looking at the Given RAG for 2009 ordered by date you could strongly suggest he picks out the good ones he has and runs them early. The four winners in the season managed two seconds and a fourth FTO. Mr Given does not normally start 2yos this early and may well suggest Sky Diamond is better, and hopefully, faster than his ordinary pedigree suggests. But, at the top of the list for the Paddock check for a good each-way type. We are then into the possible better types who might not be ready enough on the day to deal with a well prepared long-term OR70s types. Squires Gate may well be the best of these by season end on profile but traditionally Barry Hills would get a placed horse in this sort of race. Swilly Ferry's third in the race last year was absolutely typical with the horse short of a bit of nous and fitness. This one has an unexciting pedigree and the sales price suggests a good physical type and probably bigger than the medium Swilly Ferry. The sire Namid has not got really early season winners yet and the fact this one is here at all is a good sign. Consider that Mr Hills has started 23 horses before the end of April in the 2007-9 period and 18 of them have been winners as 2yos. A certain season winner but perhaps need to be Listed+ class to win. Mr Hills also runs Diamond Geezah and he looks the second string. An OR70s type in the long term probably and unlikely to be good enough to win this FTO off a typical preparation. A slightly different story with Mirror Lad for Tom Dascombe and his first British 2yo runner from his new base. Last year he was The story of the juvenile season in terms of FTO winners. 9 of his horses won FTO at a 20% strike rate and an overall profit and a very good profit for 5f starters. The wins came from early season so if he has got a handle on how to prepare the horses at his new base this one ought to be ready. The performance of his 2yo runner in Ireland last Sunday would not convince you though. That one added a late race fade that looked like lack of fitness to a bit of early race bumbling. This one seems to be some sort of retained owner bred by new sire Proclamation who would not be the top choice as an early 5f winner producer. Overall a few too many niggles and perhaps just watch to see how forward his 2yos are. 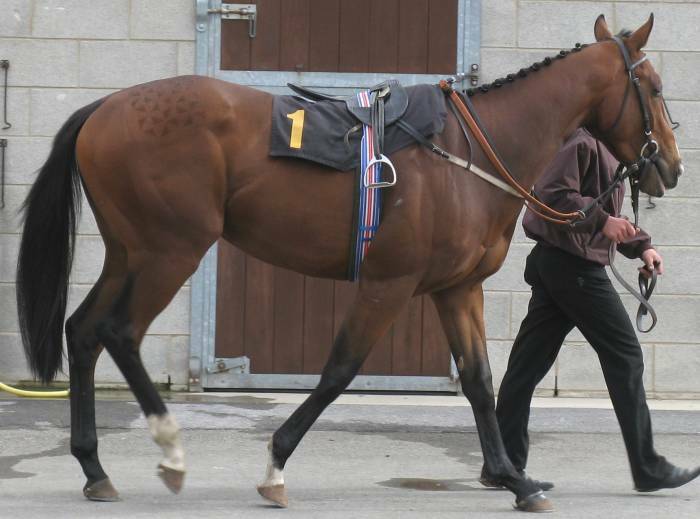 Richard Fahey has two runners with Chiswick Bey & Las Verglas Star with the first looking the first string. The number of 2yo runners for the season has grown notably in the last three and the Strike Rate has gone up with it. Mr Fahey clearly does a lot of things right. He also gets regular FTO wins with sprinters. In general though the stable really gets going from May and the early 2yos wins tend to need some combination of a soft race and an absolute natural. He did not have a juvenile runner before May in 2006 but as the number have grown 2007-9 he has managed three individuals who could win before May. One was Mister Hardy who won this race but was a higher class and natural runner. His rep in the race last year finished unplaced and won a bad race STO. In that context Chiswick Bey starts to feel like Squires Gate in being a certain OR80s winner at some point but ready here? On pedigree the £90,000 price tag looks high so hopefully a partial-Godzilla, at least. He is the second foal of a well-bred but moderate mare. The first was called Baxter and did not run last year as a 2yo but sold well and was talked up by his trainer as the best he had. So, a hugely interesting runner but probably need to be OR90+ to win. The other runner looks lower quality and perhaps more of the OR60s kit. We are then back to another trainer who has two in the race which may well be OR75 season winners but one would need to be Group class to win FTO. Added to that Clive Brittain is not a trainer B2yoR really feels has the 2yo thing under good control. He gets wins with very good 2yos and struggles otherwise. Much happier backing Barry Hills & Fahey horses. Earlier this month Mr Brittain was asked in interview how he felt about losing his 2009 juvenile Group 1 winner Hibaayeb to Godolphin. He gave the response that he was fine with it and that the Dubai owners he works with had replaced her with 50+ 2yos and they were the best group in quality terms he had in recent years. Mr Brittain did not have a 2yo winner before June in 2005-8 but with a better group in 2009 had some earlier runners. Group winner Misheer being his second runner on April 30th when winning on debut. His earlier season runners usually need the run to develop and his reps would need to be high class to win. He has 3 runners on the day so is clearly targeting getting this group of 2yos going. Mayhab goes in the list with Squires Gate & Chiswick Bey as a highly interesting, expensive, one whose price looks high compared to the pedigree so ought to be physically solid. Diplomasi has a speedier pedigree and might be a little readier for the day. The pair are ridden by top jockeys the stable regularly uses so difficult to assign a 'First' string. Another major, Southern, 2yo string with two runners in Mick Channon and in general a Brocklesby with more of the bigger stable possibles than cheap, Northern, reps from smaller outfits. Mr Channon gets relatively few FTO winners and they are at certain times of the year. He gets, typically, one in the first two weeks of the season at Lingfield in a weak race and then a small set in late April to Early May with his Royal Ascot types. The odd ones then follow though the rest of the year for particular owners. As a first approach avoiding his debut runners is fine in the long run. In the past where his Brocklesby runner managed to finish told you how good they were. A good one like Mac Love would stay on strongly to 4th and a duff one would end up midfield+. Which made Archers Road steaming along in front at 25/1 in last year's race and finishing second a surprise. He proved to be an OR90+ rater so the rule of the finishing position showing the overall ability was sound. But, what was 25/1 all about? If you look at his FTO RAG ordered by SP the Market usually knows a bit more about the stable's runners. Perhaps this was just too early in the season. That matters because Sarandjam is by the same sire as Archers Road and runs for the same owner. Sire Titus Livius can get fast 5f runners in early season. What to expect? Assume a bit of 'Regressing to the Mean' and this one is unlikely to be another A' Road. Oh My Gawd, and it is earplugs in with his other runner Saucy Buck being a Harry Findlay project. A solid OR70s pedigree and fine as an early 5f runner so you presume a usable 2yo of the type that could have been the trainer's early Lingfield FTO success. But, a bit light in quality and overall background to win this type of event first try. Mac Love, Moon At Midnight & Archers Road couldn't do it, after all. We are then into the poor profile male with Sir Lunchalott and the rest of the fillies aside from Lady Brookie. Little Libretto is the probable second string for David Evans and will be ready but looks light of quality. Lexi's Princess has a cheap background and Kevin Ryan typically chooses a small set of expendable OR60-73 types which he winds up for early season. They will be primed to win STO and will peak 3TO and then the lack of size and development will see their OR tumble in later season. This one looks like one of those and one to judge for STO and his runner at Kempton looks more interesting. In summary. A good edition with a strong midfield profile of probable later open maiden winners to take on the 'Ready Today' pair of The Best Mode & Lady Brookie. A strong candidate for a solid each-way candidate in Sky Diamond for a trainer who gets FTO winners with this type and just about enough in the pedigree & sales price to 'believe'. Squires Gate, Chiswick Bey & Mayhab look possible better longer term types and if they can win FTO are likely to be Listed+ types. The first pair appeal most as competitive for the day if the Evans & Turner pair come up a bit light in 'Power' terms. A further update to the Preview will be done after the final declarations for Saturday are known on Thursday. But, it is always worthwhile to try to cover wider issues so let us consider what we can learn by looking back at last year's Brocklesby result (Link). Looking at the entries for this year's version a lot of what might be in it is already well covered in previous year's Previews. Some interesting, more expensive, entries from Clive Brittain & Richard Fahey for Saturday and how ready would the Dascombe horse be given the poor efforts by his first juvenile last week in Ireland. However, the lure of looking forward to the 'Next Race' is used by many pundits as an excuse for not going back & doing some real analysis, so let us go back a year. When we look at a result of a race full of untried horses how confident can we be it showed us the REAL abilities the runners? How can we spot those that are in the trailing Ruck who might be better than the result made them look? Is that view even correct if you are someone who believes all horses can become 'Anything' (a 'Pointless Punditry' phrase and we shall build a file of these through the season). B2yoR believes that the first run (FTO) by a juvenile tells you an enormous amount about what it is capable of in the long term. If you have seen the horse as a physical specimen and assessed it and know something about how the trainer operates a lot of the horse's career possibilities are visible on 'Day One'. If you reduce 5f racing on a straight track, on non-extreme going, as a simple power output trial then the result should tell you an awful lot. One caveat would be that there has been a solid pace to the race to test the horses' power output adequately. The table below lists the 19 runners that ran in the 2009 Brocklesby in their finishing order. The number in brackets after the position is the horse's current BHA Official Rating (OR) as downloaded from the BHA website. All, i.e. Flat, AW & NH, BHA ratings are downloadable from their website as a single Spreadsheet file and are updated each Wednesday. Understanding the 0-140 scale for the BHA Ratings is key for anyone interested in understanding the 'Class' of horses and what that looks like in a race and when the animal is stood in front of you. The Preview of April 1st - Link - last year covers some of the issues. Remember that the Average horse with a BHA Rating is around 58-60. This is a moderate athlete who will struggle to compete to win a Selling Race. The majority of horses you ever see are Garbage who are never going to win anything. How well did the pace of last year's Brocklesby spread out the abilities? Looking at the number ranges you say pretty well. The race featured a six-way barney for the lead which only Archers Road survived into the final furlong (superior Power Output in context). The first three horses pulled clear of the others with Hearts Of Fire sailing past the stalling Archers Road to win unpressed. Swilly Ferry made a notable forward move before getting tired inside the final furlong. The 'Shape' of the Result made it look at the time that the first three were the 'Open Maiden Winners' or better in the field. The gap back from them to the 4th was the 'Changeover Point' for this race from the Open Maiden winner types (say, OR76+) to the 'Eternal Placers in Maiden' (OR65-73). The 4th to 9th were a solid midfield of early types who ended up rated in a small OR band. Their Ratings would mean they would struggle to win an Open Maiden except perhaps by blagging one in earlier season or getting lucky at a Gaff course through persistence. Trade Secret was tried in better maidens and never won as his physical precociousness advantage leaked away through the season. Could It Be Magic went missing for a long time so did not have the chance to win the early race he normally would have. The others managed wins of some sort with Eight Hours winning twice but the second was a Nursery off OR60 so he was in the right place at 9th in this set. The break back from 9th to the rest was the 'Garbage Gap' for the race. Simply defined as the Gap back to the horses who are of no consequence as athletes. The 'trundlers' (compact OR45-52 types), the tiny, the 'Committee Designs' and so on. Fit them with the Heart-of-a-Warrior upgrade pack and it wont help. 'Hang on a minute', you may well be thinking. What about those horses the wrong side of the Garbage Gap who proved better winners? Good point, and glad you asked. You do not dismiss everything behind the GG but you need to have clear reasons for why the horse might have failed. Take It To The Max & Whippers Love are similar types in terms of showing better form in later season over 7.5f+. TITTM was the biggest in the field and did not move like a sprinter but was running over 5f at the earliest opportunity against specialists. He won a 6f nursery at uphill Pontefract on softer going off OR75 and got rated OR97 for winning the Zetland Stakes over 10f on the penultimate weekend on the season. He finished in the ruck as a big horse struggling to go the pace on firmer going over 5f. But, just on size grounds, he stood out in the Brocklesby field so he was 'findable' as an improver. Whippers Love eventually found his proper test over 7.5-8f winning his 7th & 8th runs off OR68 & 74. A classic type that Mark Johnston has each year. Koo And The Gang should have finished in the 4th to 9th group but had unseated the jockey several times before the race and broke slowly so had visible excuses. If you look at this - Picture - of him he's smaller, compact and the neck's a bit off. But, on the plus side he has some build and a solid bit of muscle in his hindquarters. If a Paddock Reviewer had said he should be able to compete around OR65 you would have though that was fair enough. Heslington was the stable second string to Trade Secret and missed the break, hung left in later race so had some excuses. 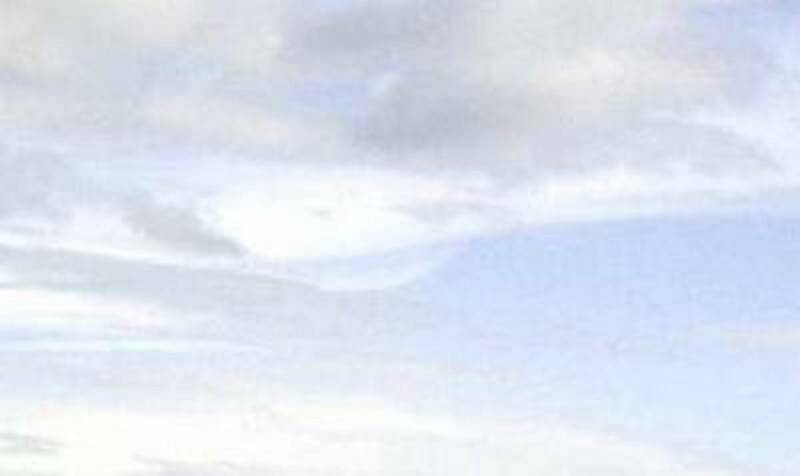 His - Picture - shows a similar sort of horse to KATG. A bit more length to the body but similar rating area and not looking like an open maiden type. He won a weaker Southwell Nursery off OR70. Usquaebach - Picture - eventually won on the AW over the winter off OR54 so was garbage who struggled through the normal turf season. After this Saturday's race we can follow the same thinking and see how it looks. Did the race have enough pace to spread the abilities out? If it did we can hold up the result by the winner and see where to stick that horse on the 0-140 scale. Where is the Changeover Point in the race? Is the Garbage Gap obvious and is there anything worth reclaiming from the Garbage Ruck?